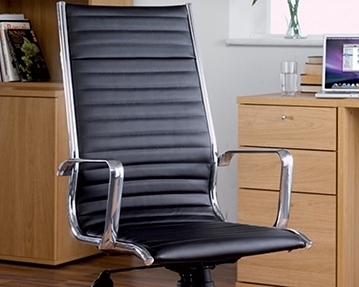 We offer a full selection of stylish, comfortable and durable meeting room chairs. 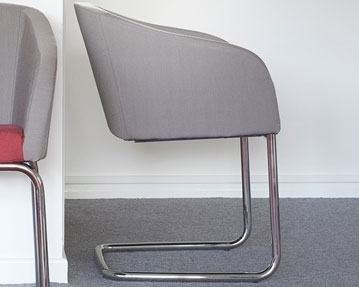 Whether you’re after occasional chairs that can be conveniently stacked when not in use or you want luxurious permanent seating solutions, we’ve got you covered. Perhaps our conference meeting chairs in plastic, wooden, mesh, upholstered or vinyl designs would be ideal for your business. Stackable for easy storage, these flexible furnishings are available in a variety of attractive designs. You can also select models with arms for added comfort, as well as chairs that feature handy wooden writing tablets. 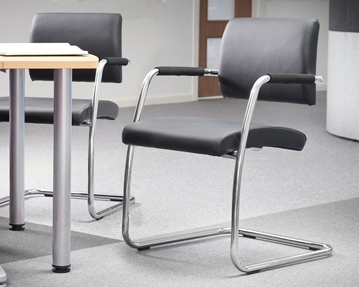 For a contemporary look, check out our cantilever meeting chairs. From basic models to decadent leather designs, we offer the full spectrum of these attractive and modern seating solutions. 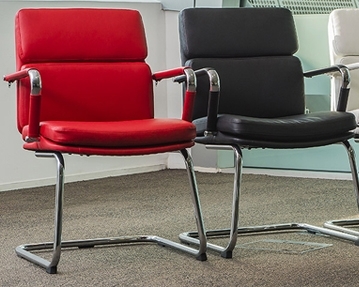 If you’re setting out to impress, perhaps our executive meeting chairs would be ideal. From sumptuously padded fabric designs to elegant mesh models and classic leather chairs, there are plenty of options to choose from. 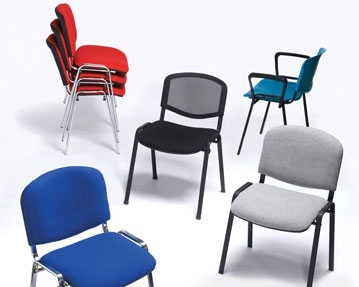 Our meeting room chairs come in all shapes, sizes and colours and we have units to suit any budget. 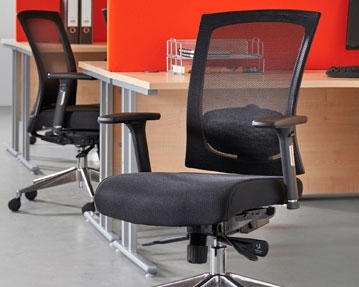 For more information about our range of office chairs, simply browse our website or contact our specialists by phone or by completing an online form.